Most industries, and society as a whole, are plagued with inefficiencies, middlemen, and a tainted system that gets in the way of recognizing quality work. We’re up against centuries of entrenched practices that are unfriendly to merit-based opportunity. Call it depressing or unfair, but don’t accept it. 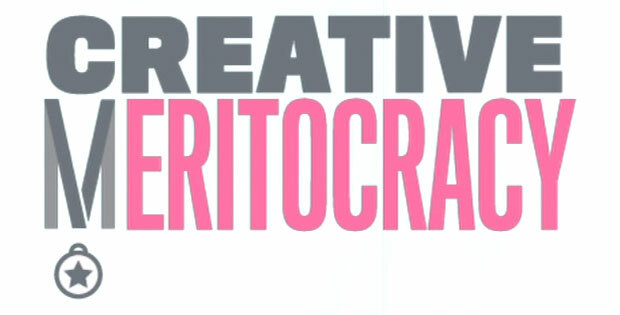 Here are a few ways we can usher in the era of creative meritocracy. Support transparency and easy access to information. Be wary of any efforts to isolate talent, whether it’s headhunters, bloggers concealing sources, or your boss not giving credit where it’s due. Creative meritocracy relies on transparency and direct attribution. The accumulation of appreciation (or credit) is the currency that buys opportunity in today’s networked marketplace of ideas. Community curation is probably the most valuable force of the Internet today. Amidst an endless flow of content from creatives with varying degrees of talent, the primary challenge becomes how to discern quality. Aided by tools like Digg and Facebook’s “Like” button, communities are starting to curate themselves. Anything from articles to pieces of art can now be sorted based on consensus.